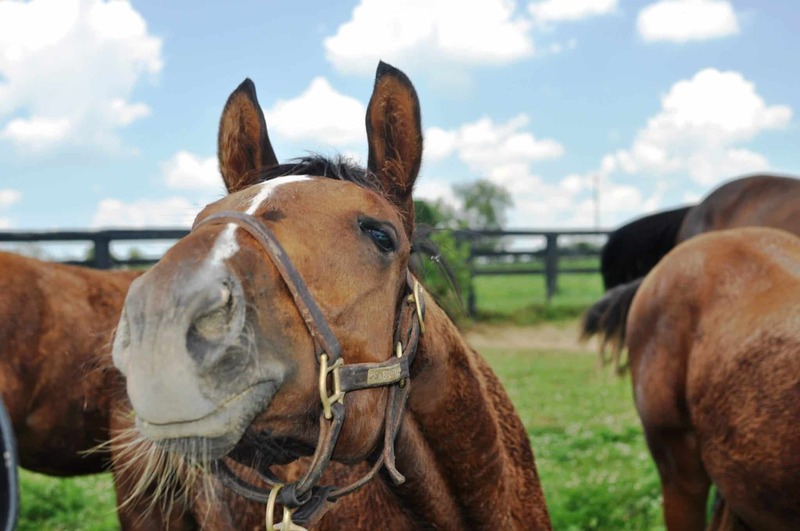 VISIT HORSE COUNTRY | Meet a Star of Foal Patrol at Claiborne Farm! 16 Jul Meet a Star of Foal Patrol at Claiborne Farm! [vc_row css_animation=”” row_type=”row” use_row_as_full_screen_section=”no” type=”full_width” angled_section=”no” text_align=”left” background_image_as_pattern=”without_pattern”][vc_column][vc_column_text]Introducing a very special, very rare opportunity to access Claiborne Farm’s nursery division! The new Star of Foal Patrol Tour features Claiborne’s resident broodmare Sabbatical, and her ’18 colt Tour of Duty, who were stars of the National Museum of Racing and Hall of Fame‘s inaugural season of Foal Patrol. Through this unique program, fans and enthusiasts had twenty-four-seven access to view expectant mares and subsequently their foals through winter and spring. We’re not saying WE streamed Foal Patrol during work hours, we’re just saying…..baby horses. :)[/vc_column_text][/vc_column][/vc_row][vc_row css_animation=”” row_type=”row” use_row_as_full_screen_section=”no” type=”full_width” angled_section=”no” text_align=”left” background_image_as_pattern=”without_pattern”][vc_column width=”1/2″][vc_single_image image=”2816″ img_size=”full” qode_css_animation=””][/vc_column][vc_column width=”1/2″][vc_single_image image=”2795″ img_size=”full” qode_css_animation=””][/vc_column][/vc_row][vc_row css_animation=”” row_type=”row” use_row_as_full_screen_section=”no” type=”full_width” angled_section=”no” text_align=”left” background_image_as_pattern=”without_pattern”][vc_column][vc_column_text]This tour will take guests to the nursery division of Claiborne to meet Sabbatical and Tour of Duty in person! Now a weanling, Tour of Duty (by War Front) was foaled at Claiborne in January. Come check up on him on the farm and see how Sabbatical is doing, too. This small tour group will be led by their Assistant Broodmare Manager, Mary and is made possible by the Phipps Stables team sharing their horses!